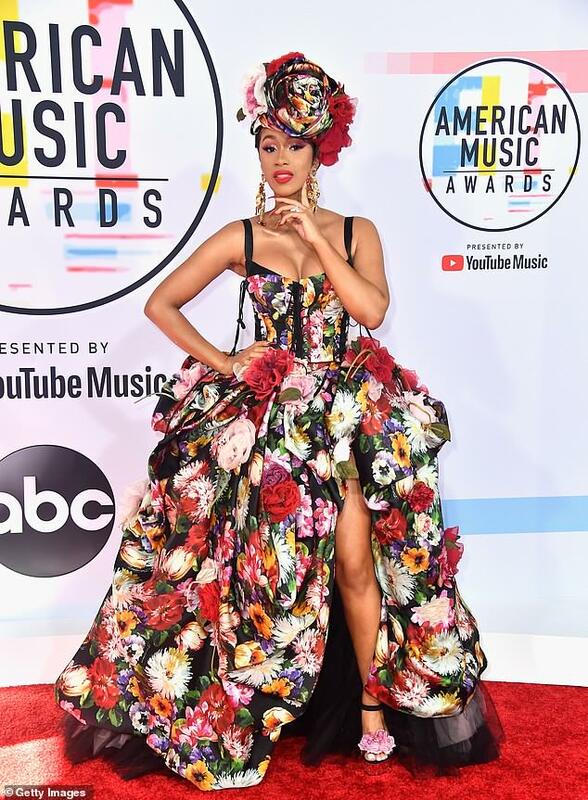 American rapper Cardi B arrived at the 2018 American Music Awards clad in an attention grabbing Dolce & Gabbana ensemble. 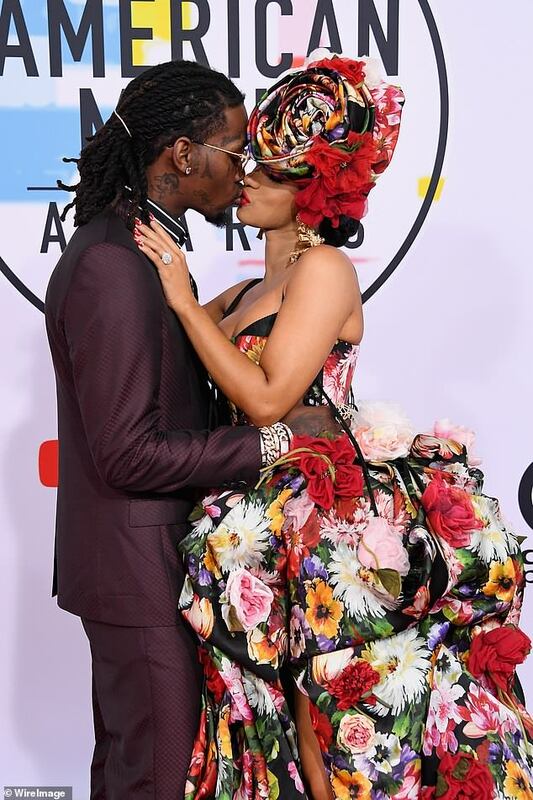 The 25 year old turned heads as she hit the red carpet in the bold floral dress featuring a revealing thigh-split and a plunging neckline. 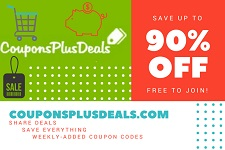 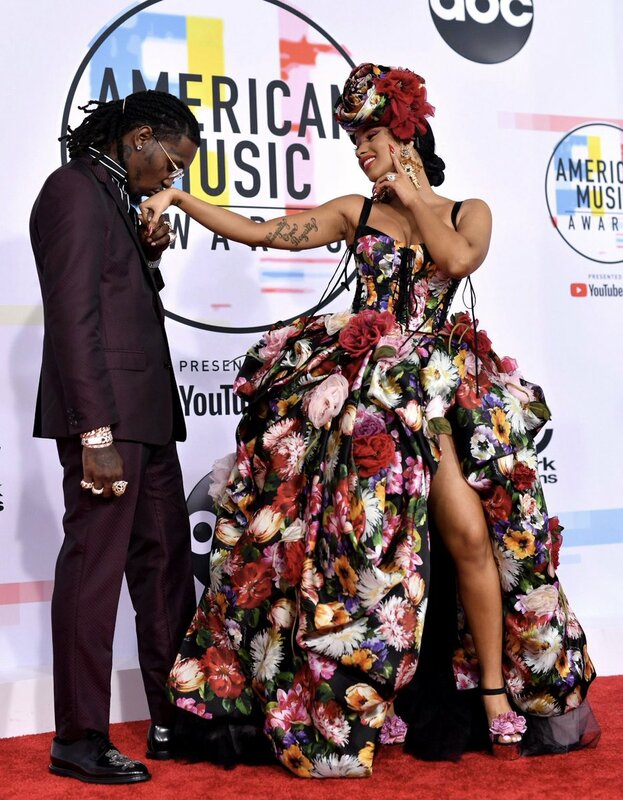 The gorgeous dress featured flowers sewn into it and a corset inspired top, and Cardi B added a matching floral headpiece to it along with statement dangling earrings. 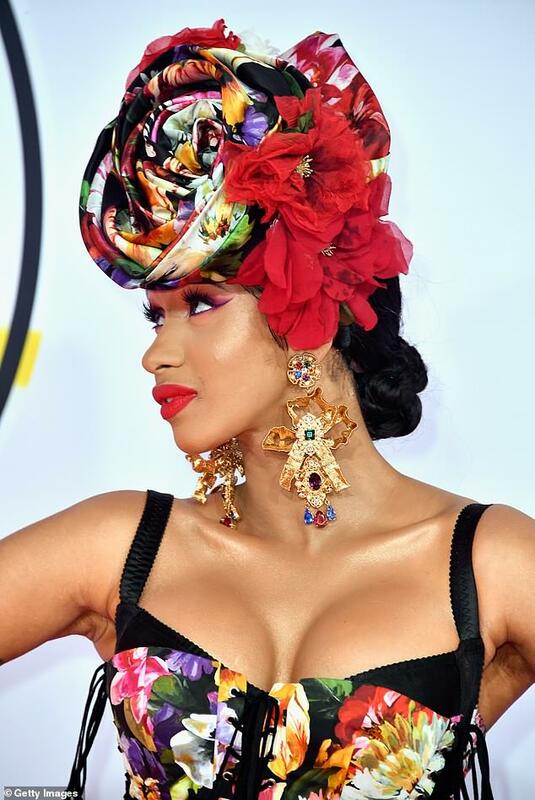 A bold red lip and strappy black heels with floral adornments were also worn by Cardi B, who was every bit a bombshell in her high-end look for the awards. 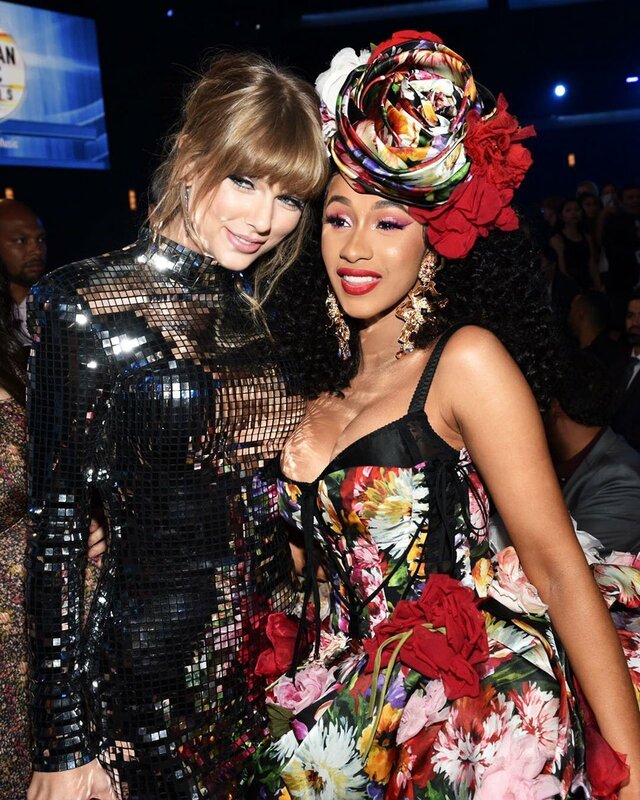 The rapper also went on to win an award at the event, Favourite Artist in the Rap/Hip-Hop category.